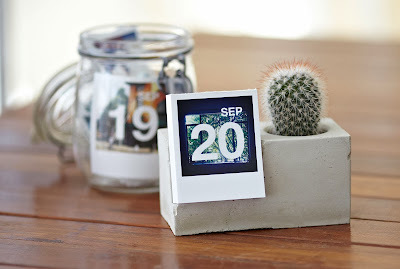 My favourite product offered by Printstagram is their calendar. 365 of your favourite Instagram photos on a day by day calendar. Every day a new photo. As each day goes by you can tear off the page and display the photo any which way you like. I really like the idea of slowly creating a photo collage wall throughout the year. There are three formats to choose from: Bold Date (as shown in the images), Small Date (my favourite) and Dateless. To celebrate the coming new year and all of those special moments you've snapped with Instagram, I'm hosting a give away in conjunction with Social Print Studio. 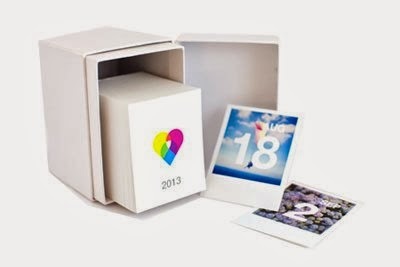 One lucky winner will receive a calendar from Printstagram valued at $40. How cool is that? And even better this give away is open to international readers as well, so no matter where you are make sure you enter. To enter the give away simply follow the prompts below for up to four entries. The give away runs through to 12/25/13 (12am EST). The winner will be notified by email within 48 hours of the give away ending. Good luck! In the mean time I thought I'd share some of my favourite Instagram shots that will be appearing on my own calendar. Big thanks to Social Print Studio for sponsoring this fantastic give away! Printstagram calendar images and Social Print Studio logo courtesy of Social Print Studio.